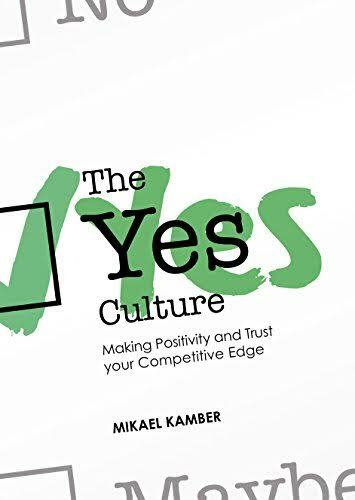 In "The YES Culture", Mikael Kamber shows you how to benefit from a happier approach to life and leadership. Based on interviews and a multitude of examples from successful companies and organizations, and introducing you to the groundbreaking findings provided by brain science and positive psychology during the recent decades, Mikael Kamber gives you insight into where joy and deep motivation come from. He demonstrates how to evolve from being driven by "the burning platform" into being engaged and motivated by our own "burning aspirations". This book is full of practical and implementable tools, and will inspire you with concrete strategies for how to create positive energy and get it to spread. Stephen Shapiro, the internationally renowned management consultant and author of bestselling "Best Practices Are Stupid", praises "The Yes Culture": "Say 'YES!' to this book! It powerfully demonstrates what organizations need to do NOW in order to stay competitive TOMORROW. It is smart, easy to read, and practical." Henry Stewart, founder of Happy Ltd. and one of Britain's leading management thinkers, says: "The Yes Culture is a fabulous book, packed with practical ideas that will help you develop a more positive approach to life. Mikael Kamber is a great storyteller and the book is packed with real-life examples to illustrate his ideas. I highly recommend this book."